THE HAGUE, April 18. /TASS/. 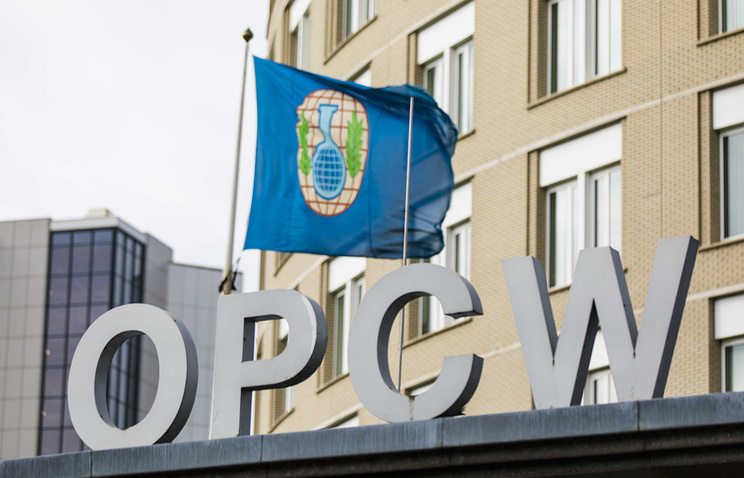 Russia has submitted the proof that the Novichok agent was produced and patented in the United States as a chemical weapon in 2015, Russia’s Permanent Representative at the Organization for the Prohibition of Chemical Weapons (OPCW) Alexander Shulgin said on Wednesday. The Russian envoy made this statement during his speech at an emergency session of the OPCW Executive Council on the Salisbury incident. "On December 1, 2015, the United States Patent and Trademark Office turned to the Russian agency in charge of patents with a request to check the patentability of the invention made by US researcher T. Rubin," the envoy said, demonstrating the document. "This document confirms that nerve agents like Novichok were not only produced but were even patented as a chemical weapon in the United States. And this is not an old story, this happened just several years ago: the patent is dated December 1, 2015," the envoy said. "This document talks about the invention of a special bullet, the distinctive feature of which is that it has a separate cavity for equipping it with different kinds of toxic agents. When using the mentioned invention, the lethal effect is achieved due to the effect of this toxic agent on the human body. In other words, this ammunition falls under the jurisdiction of the CWC," he went on to say. "The principle of operation of the bullet consists in equipping it with binary components which interact with each other upon impact. And this is what we read on the page 11 of this official American document, "At least one of the active substances may be selected from nerve agents including... tabun (GA), sarin (GB), soman (GD), cyclosarin (GF), and VG, …VM, VR, VX, and [attention!] Novichok agents," Shulgin cited the US document. "Moreover, searching by the key word "Novichok" on the digital source google.patents.com you can find over 140 patents issued by the United States, related to the use and protection from exposure to the "Novichok" toxic agent," he stressed. Shulgin once again emphasized that the Novichok-type nerve agents had never been produced in the Soviet Union and Russia. 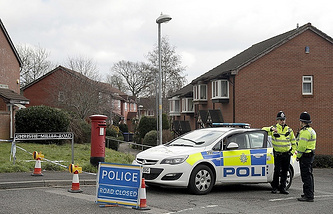 On March 4, former Russian military intelligence Colonel Sergei Skripal, 66, who had been convicted in Russia of spying for Great Britain and was later swapped for Russian intelligence officers, and his daughter Yulia, 33, were found unconscious on a bench near the Maltings shopping center in Salisbury, the UK. Police said they had been exposed to a nerve agent. London immediately accused Russia of being involved, but failed to produce any evidence. British Prime Minister Theresa May rushed to blame Russia for "unlawful use of force" against her country. She identified the alleged substance used in the attack as the so-called Novichok nerve agent, allegedly developed in the former Soviet Union. Russia has flatly rejected these allegations pointing out that neither the Soviet Union nor Russia had any programs to develop that substance.